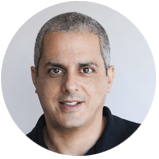 Overcoming False Attribution: Why Are You Paying For Organic Installs? 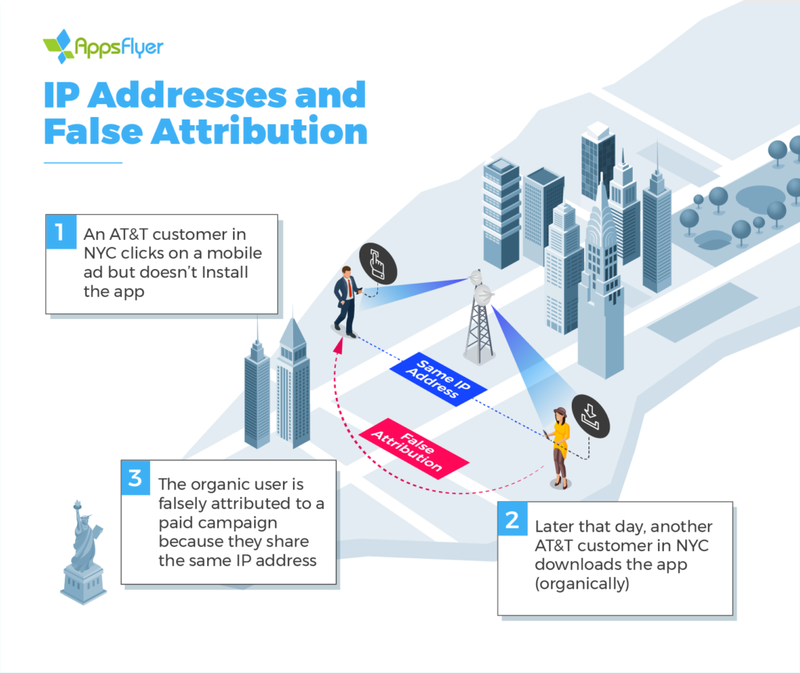 Over the last year, some of the largest global advertisers discovered that false attribution had doubled the cost of their media. In all of these examples, poor attribution technology was to blame. Sometimes, due to technological and data gaps, ad networks are credited with driving organic installs. We call this false attribution. False attribution makes everyday measurement and optimization difficult while rendering more advanced analyses such as paid media incrementality studies, simply impossible. Fingerprinting is an important part of mobile attribution. Fingerprinting-based attribution usually includes the device operating system and version, and primarily the network IP address of the device. IP addresses are a major component of all fingerprinting solutions. However, IP address data is often misleading. For example, most wireless carriers use a handful of external IP addresses across all of their users. When hundreds, thousands and tens of thousands of users share the same IP address, fingerprinting loses its accuracy and reliability. In other words, your fingerprinting loses all value when thousands of users share the same IP address. Similarly, WiFi in public spaces such as airports are used by tens of thousands of people every day. All of these users share the same IP addresses. Attributing installs based on these IP addresses results in massive false attribution. To make matters even worse, some attribution providers use fingerprinting even when DeviceIDs are present on the click, substantially decreasing their measurement accuracy. Our data shows that these fingerprinting inaccuracies double the number of attributed installs, wasting up to half of your budget on your own organic users. 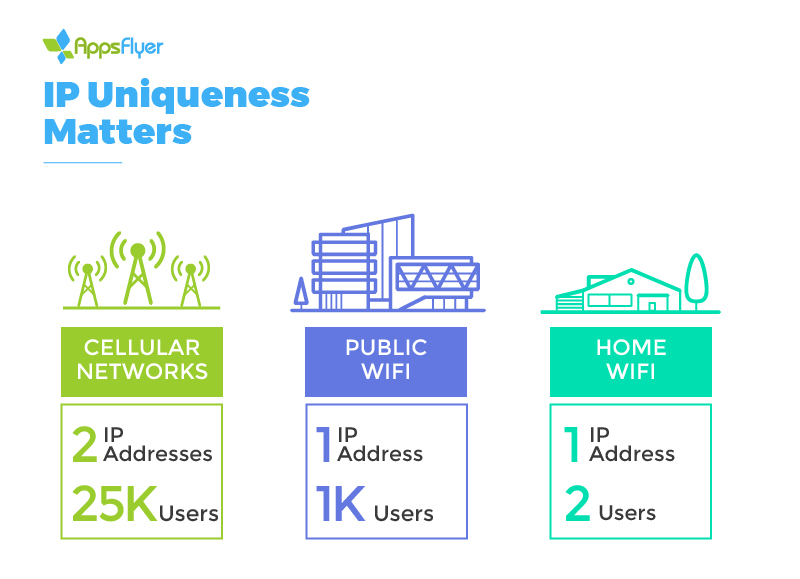 At AppsFlyer, our unique scale powers a machine learning solution that assigns an IP uniqueness rating to every IP address in our internal database. Our NativeTrack fingerprinting platform uses a dynamic attribution lookback window, growing, shrinking or closing the attribution window based on the population size of devices using a specific IP address. In NativeTrack, an install from my home WiFi network, which is shared by only two mobile phones, will be given a longer attribution lookback window than an install from more popular, and therefore less unique IP address. 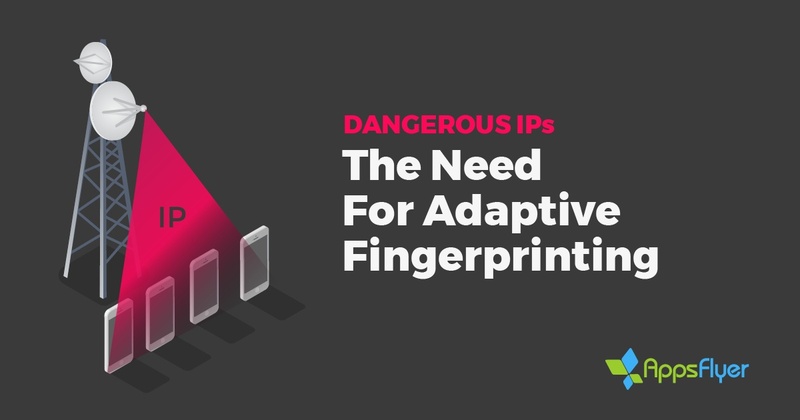 At the same time, fingerprinting based on popular IP addresses shared by thousands or tens of thousands of users are unreliable signals, and are removed altogether. Organic installs usually have both strong retention and high LTV. When poor fingerprinting misattributes organic installs, advertisers find themselves in a bleeding cash cycle. In a bleeding cash cycle, misattributed organic installs drive strong UA campaign performance, leading the business to further invest in the wrong places. 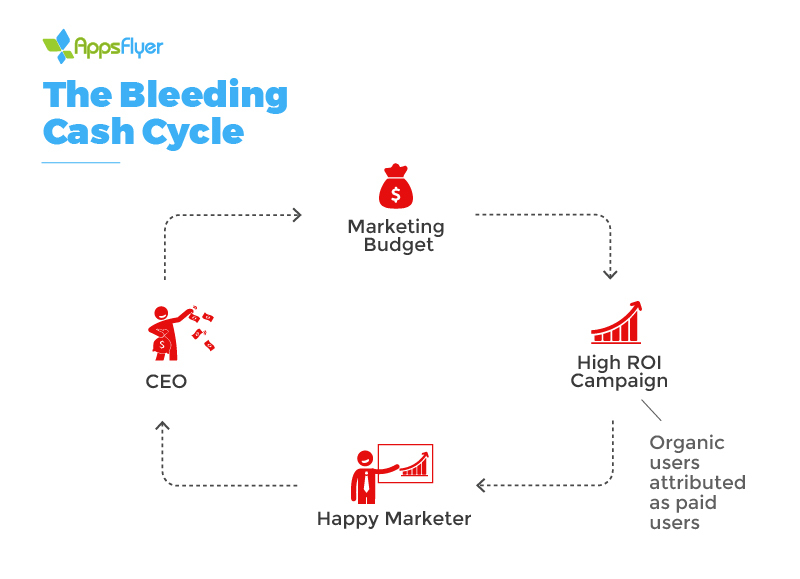 The bleeding cash cycle is particularly dangerous because it drives compounding losses, draining budgets today and while wasting tomorrow’s spend as well. Fingerprinting attribution that lacks IP uniqueness inflicts very real damage to marketers, draining budgets and polluting data. While enterprise marketers are hard at work building advanced media models to measure their incrementality, inaccurate baseline data dooms these efforts to failure before they even start. Next up: Are All Attribution Companies Unbiased and Independent As They Claim?